Align Technology is a global medical device company, notable for introducing the Invisalign clear aligner system 21 years ago. We have come a long way since then, growing to the current number of 9,500+ employees (and counting!) and operations in over 100 countries. We continue to innovate and push the boundaries of technology in order to help dental professionals and patients have an easier journey to a beautiful, straight smile. 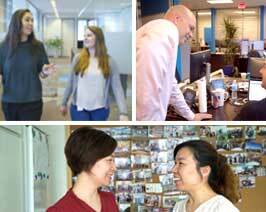 We are currently looking for an intern to join our International HR Compensation & Benefits team in Amsterdam Sloterdijk (our European HQ) for a period of 12 months. Join us and help us inspire new smiles every single day! It's an excellent opportunity for someone who is looking to get an entry level experience in Compensation & Benefits in an International fast-growing and high-profile international organization. We work with some of the world’s best business and HR systems, living innovation both inside and outside our company boundaries. Work on assigned tasks, such as running analysis, collect (on request) data, facilitate setup of new Employee Benefit vendors in SAP, ‘manage’ international vendor invoicing, and e.g. support C&B running special implementation projects. Gain experience and assist in day-to-day Compensation & Benefits tasks. You are currently studying towards a Bachelors or Master’s degree. Get notified about new jobs that match you, and let Align Technology know you're interested!